Trim coil PVC comes in rolls of aluminum sheeting that are usually 50 feet long and 3 feet wide. It is used to create custom trim that covers exterior window frames, door frames, rake boards, gables and other trim items. 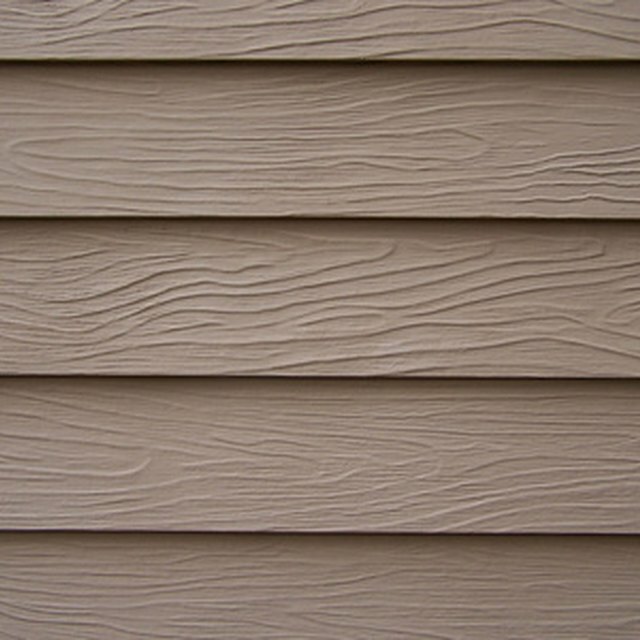 The PVC is a plastic coating that prevents fading and oxidation. PVC-coated trim coil comes in white or a variety of colors and is used to create a maintenance-free home exterior. Use PVC coil stock to cover old trim. Examine the existing trim on the house and create a bend pattern with a scrap piece of PVC trim coil. This involves bending a thin strip of metal to match the shape of the current wooden trim. Roll 12 feet of PVC trim coil out onto a hard surface and separate it from the remainder of the coil by cutting in a straight line with the razor knife. Mark the width of the PVC coil stock with a pencil in 1-foot sections. Cut along each 1-foot mark with the razor knife so that three sections are created. Each one will measure 1 foot wide by 12 feet long. Use the trim pattern to mark each bend across the width of one PVC coil trim strip. Flatten the pattern and use the indentations as a guideline. Mark outer bends on the top side of the coil stock and inner bends on the bottom side. Mark in three places, at each end and in the middle. Place the marked PVC coil strip in the coil brake. This is a special tool used to bend a piece of PVC coil strip into a custom piece of trim. It is 12 feet long and mounted on a table or on saw horses. Many equipment rental stores rent brakes by the day or week. Align the marks evenly with the bending mechanism along the edge of the coil brake. Firmly shut the brake and lift on the handle to make the bend. The metal may need to be rotated and flipped to make each bend in the pattern. Lift the handle fully to make a 90-degree bend. Lift it to a lesser degree to make other angles as needed. Use trim nails to install the trim. Based in Texas, Sara Wayne has been a freelance writer since 2008, as well as a veteran IT professional. She graduated from Virginia Commonwealth University in 1989 with a Bachelor of Science in management information systems and an English minor. Wayne's work has been published on eHow.com and Answerbag.com.